What if I′m depressed or thinking about suicide? Everyone, regardless of age or circumstances, occasionally gets depressed or stressed out. Sadness, loneliness, or feelings of alienation from family and friends can hit anyone at any time. Whatever is troubling you—no matter how big the problem— there′s help available. Trained professionals can be reached at any time. Their services are confidential and non-judgmental, and their purpose is to listen to you and offer suggestions to help you deal with what′s going on in your life. In 2013, over 5,000 U.S. residents younger than 24 took their own lives. 23,900 juveniles ages 7–17 committed suicide between 1981 and 2001. Firearms were used in 60% of these deaths. Persons ages 7–17 are about as likely to be victims of suicide as they are to be victims of homicide. Sources: Juvenile Offenders and Victims: A National Report, National Center for Juvenile Justice (2006); American Association of Suicidology (2013). You may have a friend or acquaintance who′s feeling depressed or suicidal. Or perhaps he or she has already dealt with depression and could help you get through yours. Reach out and discuss the problem with someone you trust. If you′re concerned about a friend, offer to help. If the situation is serious and you think your friend may hurt himself or herself, take action. Tell your parents, your friend′s parents, or another responsible adult. Every state has laws regarding emergency mental health care. A brief placement in a hospital (twenty-four to seventy-two hours) for evaluation can start the healing process. Whatever the issue—whether it′s grades, relationship problems, cyberbullying, or trouble with sports, a job, or drugs—help is nearby. Hotlines staffed with trained counselors can help you if you′re suffering from depression or thinking about suicide. Some organizations offer help through text messaging, including the Department of Veterans Affairs, and the National Suicide Prevention Lifeline (1-800-273-TALK (8255). “Stand up for kids who are being teased or bullied.” President Barack Obama speaking to the nation’s students on September 8, 2009. E. Nelson, Ph.D., and Judith C. Galas (Free Spirit Publishing, 2006). out to save a life. 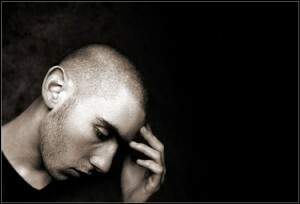 types of depression, treatment options, and ideas for staying healthy. Includes real teen stories, survival tips, and resources. Information and referrals to support groups around the country. Immediate crisis intervention, support, and referrals for runaways and abandoned youth, and those who are suicidal or in crisis. Help is available for children, teens, and adults. Canada′s only toll-free national telephone counseling service for children and youth ages 4–19. For children and teens struggling with problems of abuse, drugs, alcohol, suicide, pregnancy, or sexual pressure. Operated by YouthDevelopment International (www.1800hithome.com). Operated by Kristen Brooks Hope Center (www.hopeline.com). National Suicide Prevention Lifeline 1-800-273-TALK ( 8255) suicidepreventionlifeline.org A 24-hour, toll-free, confidential suicide prevention hotline available to anyone in suicidal crisis or emotional distress.